As a designer, either you are doing architecture and urban design, graphic design, fashion design, or else, you would be quite familiar with this task: manual scanning. Conventionally, you usually depend on scanners to capture visual graphics and images that you have, whether after drawing a new sketch or diagram, curating a printed information that you would like to compile for your new and ongoing projects, or collecting attachments and appendices for your minutes of meetings or other reports. Scanning activity is very important for modern designers, since we deal mostly with visual graphics rather than texts, while still simultaneously adopt both the manual and digital methodologies of working. Thanks to smart phone invention, when we do not have time to manually scan a document (especially when you have to distribute it right away), or when then information is written or drawn on a non-scanable medium, e.g. a whiteboard, a wall, or else, we could just take a quick picture of it. Smart phones become very handy in doing so. However, there is always a limit. We have to carefully adjust the angle, position, distance, and lighting while taking a shot, in order to produce a well or at least readable and acceptable photo quality. And still, you will not get a result as good as the one you get from manual scanning. If you are quite fussy, camera phone method could take some of your valuable times as well. Last year, Microsoft has released an intriguing new companion app for Windows Phone that lets you record whiteboards, sticky notes, pictures, and documents, and save them to OneNote. 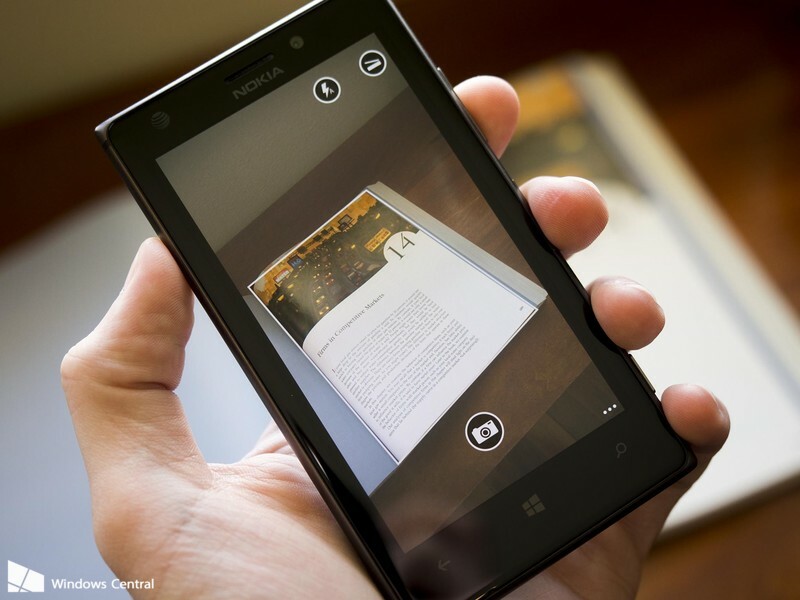 Office Lens is a handy capture app that turns your smartphone into a pocket scanner. “Office Lens automatically performs image correction and cleanup to photos on your phone before the files are uploaded to OneNote for storage and text conversion. Office Lens detects the edges of the document or whiteboard, or you have the option to set the border manually. You take a photo, and Office Lens cleans up the image and saves it to OneNote, where the OCR software in the cloud does the text-recognition work that allows you to have a searchable digital file.” says Chris Yu, principal group program manager for Office. This super-handy apps also enables users to save their scanned real-world-paper documents as PDF files. So as to see how reliable it is, I personally have tested this app with iPhone 6 to take a picture of my architectural drawing printout from a non-frontal angle. I will not post the scanned result here, due to property rights, but I can tell that the image result was quite detail, precision, and clear with perfect alignment. There was no image distortion detected. Considering the relatively dim home lighting and quick process of shooting, I have to admit the apps is super handy, simple and satisfying. Further review can be found on Microsoft Research, to give you an illustration of how to operate this app. “Office Lens can transform a whiteboard image taken at an angle and exhibiting glare into a correctly oriented image without any glare.” ―Microsoft Research. Microsoft Office Lens, which now is widely accessible through several different operating systems, is definitely changing the way designers work (and also people in other fields of business in general). You can work more efficiently, quicker, and neater. However, it might arouse a further fundamental question about security of intellectual property and privacy, as random people in a public space can just quickly and secretly take a high-quality snap shot of your graphical documents, sketches, or design work. So, the final question would be: would you like to try and use it on frequent basis as a design and planning tool?